Carey Mulligan leads an incredible cast in this look into the Suffragette movement for women’s rights in early 20th century London. It’s both incredible and yet still unsurprising to think that Suffragette is really the first film which covers such an important topic. With such an impressive cast behind it, the story is undoubtedly in safe hands. Carey Mulligan makes for an engrossing central character as Maude Williams, a working wife who is thrust into the middle of a political and social protest that soon begins to hurt not only her life, but that of her family’s. The secret to Mulligan’s success is largely part to her own feeling of unimportance which writer Abi Morgan’s script pushes into the subconscious with great effect. Though the film centres on Mulligan’s performance, in a big way she could just have easily been a sidelined character to let the film focus more on Meryl Streep’s Emmeline Pankhurst. Instead Streep is rather smartly underused, appearing in only one scene like some sort of suffragette rockstar. The remainder of the supporting cast members are fortunately given more to do, with Natalie Press’ Emily Davison being a particular highlight. That said however, director Sarah Gavron manages to use her cast to their full potential without making anyone seem more or less important than the other. Though it doesn’t exactly cover the entire timeline of its subject matter (difficult considering equality is still problematic to this day) Morgan’s script tackles it with great respect as she picks out moments both small and large to highlight the struggles of the era. And the story certainly isn’t afraid to tackle the grittiest details of the suffering its protagonists went through, with one scene involving a prison force feeding which is particularly hard to watch yet still is important to see that these horrific ways in which suffragettes were treated should not and will not be forgotten. Though the underuse of Meryl Streep is a smart move, her appearance still slightly jars. Considering the amount of coverage she’s been getting in the advertising for the film, it’s still somewhat disappointing to have her appear in one brief, albeit important, scene. Also, though there are no problems thematically, Suffragette eventually ends up feeling like a by the books historical drama. 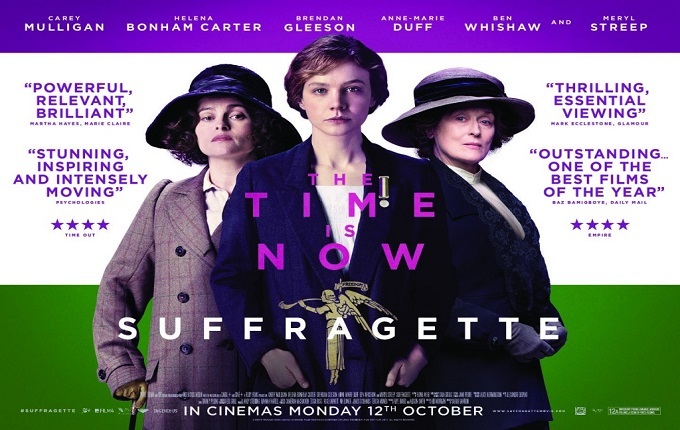 Perhaps due to its lateness, a film about the Suffragette movement was always going to become much bigger in the audiences imagination than in the finished product. Or perhaps it’s due to the level of importance that this film holds.